Compound Exercises vs. Isolation Exercises; Which Are Better for Building Muscle? Compound exercises have become a hot topic, in the areas of strength-training, weight-training and bodybuilding. And along with that, a lot of misconceptions and misleading, false beliefs about compound exercises have taken hold during the past decade or so. Thus, I’m writing this article in order to clear up all the confusion about both compound exercises and isolation exercises, so that you’ll know which exercises work better, for developing the body that you want. And I promise that once you’ve read this entire article, you’ll have a better, more complete understanding of compound exercises and isolation exercises than 99% of the experts out there! And for decades, the big, unanswered question has been this: which of those 2 is better, faster, more effective, more time-efficient, for building maximum muscle, developing greater strength, and for fully developing your physique proportionately? Well, you’ve probably heard it and read it, over and over: compound exercises are the way to go, if you want to build maximum muscular size and strength, and fully develop your physique proportionately, as quickly, as safely, and as time-efficiently as possible. So compound exercises have become all the rage now. So much so that in recent years, entire workout plans have been developed based upon compound exercises alone. Such plans have been developed based upon the increasingly popular, yet erroneous, misleading belief that compound exercises are all you need to get the body you want, and the belief that isolation exercises are little more than a waste of time. And that’s unfortunate; not only for the people who adhere to and spread such beliefs, but also for the many people who blindly accept and follow them. Because the truth is, that although you can build significant amounts of muscle by doing compound exercises, you will never build maximum size or strength in your muscles just by doing compound exercises alone. Furthermore, compound exercises alone will never enable you to fully develop your physique proportionately. Isolation exercises are an absolute requirement, for you to achieve those goals. And if you read this “eye-opening” article, in which I debunk the prevailing myths about compound exercises and isolation exercises, you’ll understand why this is so. There’s a ton of false information out there regarding both compound exercises and isolation exercises. And amazingly, much of it is being taught and spread by “experts” in the fields of strength-training, weight-training and bodybuilding. So dispelling all of those myths that have taken hold over the years, and defining both compound and isolation exercises correctly and completely (for the first time in history) is no easy task. That, plus the fact that go into so much detail in this article, explains why it has to be so huge. Compound exercises have been extolled and touted as “the key to total body transformation”, being far superior to isolation exercises for that purpose. Yet the people who make such claims never give you any legitimate reasons for believing them. Which is no surprise; simply because there aren’t any! There are, however, very compelling reasons as to why compound exercises alone will not enable you to build maximum muscle or strength, or fully develop your physique proportionately. And basically, it all comes down to 2 big limitations, that are inherent in all compound exercises. 1) Compound exercises “restrict and limit” your range of motion significantly. And that prevents you from getting to the points in your range of motion, where you can generate maximum intensity in any individual, working muscle. And since intensity is the #1 key to muscle–growth stimulation, that prevents you from achieving maximum muscle–growth stimulation. Which then prevents you from building maximum muscle; especially “maximum muscle in minimum time”. The highly popular, yet highly overrated bench press ( a compound exercise) is a perfect example of this fact, as you’ll learn more about later in this article. And if you don’t yet know about the major shortcomings of the bench press in regards to building your chest muscles, this should be a real “eye-opener”. 2) Compound exercises can’t include and cover all of the “different types of motions” that the human body can perform with weights. This is a big limitation of compound exercises. And that’s simply because each one of those motions recruits a “unique combination of muscle fibers”, some of which don’t come into play for any other type of motion. So for full development of your physique, all of those motions must be done, using some type of resistance for the muscles to work against. But compound exercises can include only about 30 percent of all the different types of motions that the human body can perform with weights! So what about the other 70 percent? Well, if you neglect those other motions, as you certainly will by limiting yourself to compound exercises alone, then the muscle fibers that are activated only for those particular types of motions will remain dormant and undeveloped. Plus, even for those types of motions that can be included in compound exercises, “maximum intensity”, and thus “maximum muscle growth” is usually impossible to achieve; as I stated in the first limitation. 1) Most people, including most experts, still don’t know what exercise intensity really is, as it relates to strength-training and muscle growth stimulation. And that’s understandable. Because until Maximum Intensity Strength Training (MIST) was developed, nobody in history had ever defined “exercise intensity” correctly and completely. Or if they did, they sure kept it a secret all those years! And obviously, if you don’t know what “exercise intensity” is, you won’t know why compound exercises prevent you from generating “maximum intensity”, or even “high intensity” in the working muscle. Even if you’re an expert! So for a more in-depth and detailed explanation of exercise intensity, in regards to building muscle, read my series of articles on exercise intensity, starting with Exercise Intensity: the #1 Key to Building Muscle, Part I. 2) Most people, including most experts, still don’t know exactly what a compound exercise is. Or what an isolation exercise is. And that’s because until now, nobody has ever defined compound exercises or isolation exercises adequately. Yet that knowledge is crucial, for understanding the strengths and limitations of both types of exercises. So first, let’s fill that void, by defining both compound exercises and isolation exercises correctly and completely. Isolation exercises are usually defined as “single-joint exercises, that work only one muscle or muscle group at a time” (Wikipedia). In fact, the term isolation exercise implies that you’re working just one muscle or muscle group at a time, thereby “isolating” it. And although that definition is generally accepted by most experts, it’s actually inaccurate and misleading. For example, the back leg raise is an isolation exercise, yet it works three different types of muscle groups simultaneously. This highly effective, yet highly underrated and under-performed exercise works your glutes (buttocks), your erector spinae muscles (the lower back muscles), and your hamstrings (the muscles in the back of your thighs), all at once. 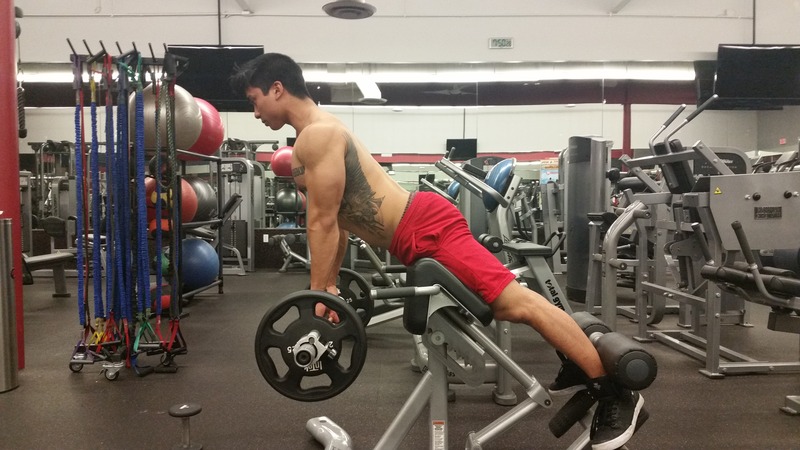 So what makes the back leg raise an isolation exercise, instead of a compound exercise? It’s the fact that when doing it, you’re using “only one type of joint”, and doing “only one type of motion” at a time. As you can see, many of the above exercises use more than one muscle or muscle group simultaneously. The outward forearm rotation and the back arm raise even use four different types of muscles or muscle groups simultaneously! But the one thing that they all have in common is this: each one uses only “1 type of joint”, and only “1 type of motion” at a time, in order to work against the resistance of the weight. And again, that’s what makes them isolation exercises. Some of the above exercises you might not even recognize by name, or even know about; even if you’re an experienced weight-lifter of bodybuilder. And that’s because they’re exclusive to the Maximum Intensity Strength Training (MIST) workout plan; meaning that they’ve never been found in any other workout plan before. Although they should’ve been! Also, note that some of the exercises I listed above are almost always referred to as compound exercises, even though they’re technically isolation exercises. Those include the lat pull-down, the bent-over dumbbell row, the chin-up, the pull-up, and the straight-legged deadlift. And once you know the correct and complete definitions for both compound exercises and isolation exercises, you’ll understand why they’re isolation exercises, and not compound exercises. Compound exercises are often defined as “multi-joint exercises”. Taken literally, that means you’re using “more than one joint” simultaneously, when doing a compound exercise (Wikipedia). That definition isn’t wrong. But it’s too incomplete for us to fully understand the nature of a compound exercise, and the limitations of such exercises. For example, imagine doing the biceps curl bilaterally, using both arms simultaneously. You would be using both of your elbow joints simultaneously to perform that exercise. So in this case, wouldn’t that make it a “multi-joint” exercise? Yes, technically it would. But the biceps curl isn’t a compound exercise. It’s an isolation exercise, whether you do it bilaterally (both arms simultaneously) or unilaterally (only one arm at a time). And that’s because whenever you perform the biceps curl (even when done bilaterally), you’re using only one type of joint. That’s one of the things that makes it an isolation exercise. So obviously, the above definition for compound exercises is inadequate. Again, although that definition isn’t incorrect, it’s insufficient and incomplete. For example, when doing the biceps curl bilaterally, you are using 2 different muscles simultaneously: you’re using the biceps of your right arm, and the biceps of your left arm. That’s 2 different muscles. But, it’s not 2 different types of muscles. “A compound exercise is one that uses 2 or more different types of muscles or muscle groups, simultaneously”. But even that definition is inadequate. It still doesn’t tell us everything we need to know about what a compound exercise actually is. Nor does it tell us how compound exercises differ from isolation exercises. For example, consider the back leg raise, that I mentioned previously. As I explained, this exercise recruits muscle fibers in your glutes (buttocks), erector spineae (lower back) and hamstrings (back of thigh), simultaneously. So the back leg raise works 3 different types of muscles or muscle groups at once. But again, the back leg raise isn’t a compound exercise. It’s an isolation exercise; and that’s because it makes use of only “1 type of joint”, and only “1 type of motion” at a time. So obviously, a better definition for “compound exercises” is in order, as I provide in the next section. A compound exercise is one that makes use of “2 or more different types of joints”, and thus “2 or more different types of motions“, executed simultaneously; so that all of the muscles that come into play for those motions are working against the resistance of the weight. Notice that some compound exercises generally work one or more muscle groups primarily, while working another or other muscle groups secondarily. What that means is that you generate a “higher level of intensity” in the primary muscle groups than you do in the secondary muscle groups. And that’s because you generate more “contraction per unit of time” in the primary muscle groups, than you do in the secondary muscle groups. Which, in turn, means a potential for greater “muscle growth stimulation” in the primary muscle groups, than in the secondary muscle groups. And that means a potential for greater muscle growth in the primary muscle groups, than in the secondary muscle groups. For example, the squat primarily works your quadriceps (the muscles in the front of your thighs), because those are the muscles in which you generate the highest levels of intensity, when doing that exercise. And that’s because those are the muscles in which you generate the “greatest amount of contraction per unit of time (i.e per second)”, when performing that exercise. Then the squat works your glutes (buttocks), erector spineae (lower back), and hamstrings (back of thigh) secondarily, because the amount of “intensity” generated in those muscle groups is far less than what you generate in your quadriceps. And that’s why the squat is much more effective for building muscle mass and strength in your quadriceps, than it is for building muscle mass or strength in your glutes, hamstrings or erector spineae muscles. 1) You’re straightening your legs, as you would do when performing the leg extension (an isolation exercise). And that type of motion works your quadriceps. 2) You’re also moving your upper legs back relative to the upper torso, as would you do for the back leg raise (another isolation exercise). And that type of motion works your glutes, hamstrings and erector spineae muscles. So in effect, a compound exercise actually consists of “2 or more” different isolation exercises, executed simultaneously. Whenever you combine “2 or more different types of motions” into one exercise, it inevitably restricts or limits your “range of motion” for at least one, or even all of the motions being done. And that prevents you from going through a “full-range of motion” when doing compound exercises. For years, it’s been commonly believed and taught, that in order to build maximum muscle from any weight-training exercise, you need to go through a “full range of motion” for that exercise. Yet it’s also been commonly believed and taught, that compound exercises are the best exercises for achieving maximum muscle growth; even though such exercises actually prevent you from using a full range of motion. So is there a contradiction there? Yes, absolutely. Because ironically, it turns out that compound exercises actually violate one of the most hallowed rules of conventional strength-training; which is that you must always use a “full range of motion” when performing any exercise, in order to achieve maximum muscle growth and strength. Well first, let’s get clear on this: contrary to what’s been commonly taught and preached for many years, you don’t need to go through a “full range of motion” to build muscle. And that’s true, even if your goal is to build maximum muscle! In fact, you can achieve maximum muscle growth stimulation, and build maximum muscle, simply by doing static holds; if they’re done correctly. And static holds involve no motion at all, let alone a full range of motion. So what do you need to generate maximum muscle growth stimulation, and thus build maximum muscle? In order to generate maximum muscle-growth stimulation and build maximum muscle, you need to generate maximum intensity in the working muscle, for any weight-training or strength-training exercise that you do. And that’s not determined by using a “full range of motion”. Nor is it determined by how many “reps” (repetitions) or sets that you do. So what exactly does determine how much intensity you generate, when performing any strength-training exercise? Well first, as I stated earlier, intensity is simply “the amount of contraction that you generate in the working muscle, per unit of time“. And since muscular contraction is the physical manifestation of “muscular work“, intensity is the ultimate measure of “how hard” the muscle is working. So the more contraction that you generate in the working muscle per second, the harder the muscle is working, and the higher the intensity of the exercise. And the higher intensity of the exercise, the greater the muscle-growth stimulation is likely to be. And the greater the muscle growth stimulation, the greater the muscle growth is likely to be. So for maximum muscle growth stimulation, and thus maximum muscle growth, you need to generate “maximum contraction per second” in the working muscle. Now that’s maximum intensity! 2) resistance–induced contraction (RC), which occurs when a muscle is working against a “net external force” or resistance; such as that provided by a weight. And since intensity is “the amount of contraction that you generate in the working muscle per unit of time”, you obviously need to maximize both dynamic contraction (DC) and resistance-induced contraction (RC) simultaneously, in order to achieve maximum intensity, and thus maximum muscle growth. It’s also important to know that maximum dynamic contraction (DC) can occur only at “one point in your range of motion”, for any type of motion that you do. It occurs only at the end of the “concentric phase of motion”, when the muscle is fully shortened and contracted dynamically. So when you bend your arm, your point of maximum dynamic contraction (DC) occurs only when your arm is totally bent, and your forearm is touching your biceps, or is as close as it can be to your biceps. Because compound exercises do limit your range of motion significantly, or due to the “positioning of the weights” being used, they usually prevent you from combining maximum dynamic contraction (DC) with maximum resistance-induced contraction (RC) simultaneously. And that’s why maximum intensity, and thus maximum muscle growth stimulation, usually cannot be achieved when doing compound exercises. 1) Compound exercises often prevent you from getting to your points of maximum dynamic contraction (DC), due to the fact that they do limit your range of motion. And without maximum DC, you can’t generate maximum intensity. That’s the main problem with the bench press. 2) When compound exercises do enable you to get to your points of maximum DC, they often result in “zero resistance-induced contraction (RC)” at those points. And that too prevents you from generating maximum intensity; or even “high intensity”, for that matter. That’s the main problem with the squat. The fact is, you just don’t have the freedom to move through your range of motion, so as to combine maximum DC with maximum RC simultaneously, when doing compound exercises. And that’s what you need, for maximum muscle-growth stimulation, and thus maximum muscle growth. The bench press is a perfect example of the above dilemma. And if you’re not familiar with the shortcomings of the bench press in regards to building bigger, stronger chest muscles, you’ll definitely want to read the next section. This is something that even most experts still don’t know! The Highly Revered, Yet Highly Overrated Bench Press; Definitely Not the King of Chest Exercises! The bench press is one of the most highly-revered of all weight-training exercises. You’ve probably heard it referred to as “the king of chest exercises”. Well, you might be surprised to learn that it isn’t “the king”, regardless of it being one of the most popular weight-training exercises there is. And after reading this section, you’ll understand why. There are 3 different versions of the bench press: the flat bench press, the incline bench press, and the decline bench press. What I’ve written below generally applies to all 3 versions, executed with a “wide grip”. 1) You’re straightening your arms against the resistance of the weight, thereby working your triceps. Just as you would do with isolation exercises like the triceps kickback and the triceps extension. 2) You’re moving your arms across your chest towards the opposite side of your upper torso, thereby working your pectoral muscles and your anterior deltoids. Just as you would do with isolation exercises like the pec deck and the dumbbell flye. Or more accurately, you’re trying to move your arms across your chest to the opposite sides of your upper torso. And I say “trying”, because the surprising thing about the bench press is this: for that latter motion (i.e. the one that works your pecs, and your anterior deltoids), the bench press allows you to move your arms only a “small fraction” of the way through your full range of motion. Even worse, the bench press limits you to your “weak” range of motion, where you have the least amount of dynamic contraction (DC) in the pectoral muscles, and thus the lowest levels of intensity, for any amount of weight being used. In fact, the bench press limits your range of motion so much, that you can’t even come close to your points of maximum dynamic contraction (DC), for this particular type of motion. So whenever you do the bench press, you’re actually doing “partial reps”, executed entirely in your “weak” range of motion; at least as far your pectoral muscles are concerned. And surprisingly, the dumbbell flye (another highly-regarded, popular, yet overrated chest exercise) also consists of partial reps, executed entirely in your weak range of motion. Now, let’s get clear on this: there’s nothing wrong with doing partial reps. You can’t achieve maximum intensity by doing partial reps; or any kind of reps. But you can actually build significant amounts of muscle by doing partial reps. But just remember: maximum dynamic contraction (DC) is required to achieve maximum intensity, which in turn is required for maximum muscle growth; especially “maximum muscle growth in minimum time”. So if you are going to opt for partial reps, you’re definitely better off doing them in your “strong” range of motion, where you generate the most dynamic contraction (DC), and thus the highest levels of intensity and muscle growth stimulation, for any given amount of weight used. But that’s obviously impossible to do, when you’re performing the bench press. So although doing the bench press is certainly better than doing nothing, it’s actually somewhat of a joke, when it comes to building your chest muscles. In fact, doing the bench press for your pecs is akin to doing the biceps curl for your biceps, and lifting the weight up only about 2-3 inches, and then lowering it! That’s how much the bench press limits your range of motion. Now, do you think you’ll ever build maximum muscle in your biceps, by doing the biceps curl that way? No way! Likewise, you won’t build maximum muscle in your chest muscles by doing the bench press either. But that’s the only way you can do the bench press. Yet, how many times have we heard people refer to “using a full range of motion” while doing the bench press, when there’s really no such thing?! And when it comes to achieving maximum intensity and muscle growth, all of the other compound exercises have shortcomings similar to those found in the bench press. But wait: we’re not done with the bench press yet. I mean, what about all that weight? The bench press enables you to lift so much more weight than does any other chest exercise. So it must be the best exercise for building mass and strength in your chest muscles, right? Well that’s what most people, including most experts erroneously believe. But here’s one more case where the experts are definitely wrong. It’s true that the bench press enables you to lift more weight than does any other chest exercise. But there’s a reason for that. And guess what: it has nothing to do with the strength of your chest muscles, as I explain below. The reason why the bench press enables you to lift so much weight is simply this: leverage. When you’re doing the bench press, your chest muscles have a lot less “leverage” to work against, than when you’re doing other chest exercises, such as the dumbbell flye. Whenever you’re lifting weights by doing any rotary-type motions (e.g. the bench press, the squat, the lat pull-down, the lateral raise, the deadlift, the biceps curl, the triceps kickback, etc. ), the “amount of leverage” that the muscle has to work against is just as important as the “amount of weight” that the muscle has to work against, in determining how much “intensity” you generate in the working muscle, and thus how much muscle-growth stimulation occurs. And that’s simply because the “amount of leverage” is equally important to the “amount of weight”, in determining how much resistance the muscle has to work against; and thus how much resistance-induced contraction (RC) is generated in the muscle. So the greater the “leverage” that a muscle has to work against, the greater the “resistance” will be, for any amount of weight that the muscle to work against. And the greater the resistance, the more resistance-induced contraction (RC) there will be generated in the muscle. So, since the bench press does use much less leverage than do other chest exercises (like the dumbbell flye), you have to use much more weight for the bench press than you would for those other chest exercises. Otherwise, you wouldn’t generate as high a level of resistance for your pectoral muscles to work against, as you do with those other chest exercises, that use a greater amount of leverage than does the bench press. And remember: ultimately, it’s the amount of resistance that the muscle has to work against, that determines how much resistance-induced contraction (RC) occurs in the working muscle, when you do any strength-training exercise. So for rotary-type motions, resistance is determined by more than just “the amount of weight” that your muscle has to work against. You also have to factor “leverage” into the equation. Now, if you’ve read this far, you should know what “exercise intensity” really is, and the role that intensity plays in the processes of muscle growth stimulation, and muscle growth. You should also know what a compound exercise is, and what an isolation exercise is. So with that expanded level of awareness, let’s go back to those 2 big limitations of compound exercises, that I introduced earlier in this article. And now, those 2 limitations should make more sense. 1) Compound exercises limit your “range of motion” significantly, thereby preventing you from combining maximum dynamic contraction (DC) with maximum resistance–induced contraction (RC) simultaneously. And since exercise intensity is “the amount of contraction that you generate in the working muscle per unit of time“, that prevents you from generating maximum intensity in the working muscle. Which, in turn, prevents you from achieving maximum muscle-growth stimulation, and thus maximum muscle growth. I’ve explained how this happens when you’re doing the bench press, during which you can’t even come close to your points of maximum dynamic contraction (DC), for your chest muscles. And I’ve also explained how this happens when you’re doing the squat, during which you can generate maximum DC in your quadriceps, but you have zero resistance-induced contraction (RC) at that point. 2) Compound exercises can’t include all of the basic “types of motions” that humans can perform with weights. So as a result, many muscle fibers, and some “entire muscle groups”, cannot be developed at all by doing compound exercises (Wikipedia). There are at least “42 different types of motions” that the human body can perform with weights. 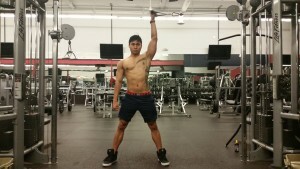 And since each one of those motions recruits a unique combination of muscle fibers, some of which don’t come into play for any other type of motion, all of them must be done with some form of resistance (ideally using weights), for full muscular development of your physique. But compound exercises can include only about 18 of those motions, at most. So what about the other 24? Those other 24 can only be done as isolation exercises. And if you shun those 24 other motions, due to the erroneous, misguiding belief that “isolation exercises are simply a waste of time”, you’ll never work or develop the muscle fibers that come into play only for those motions. In which case, you won’t fully develop your physique! 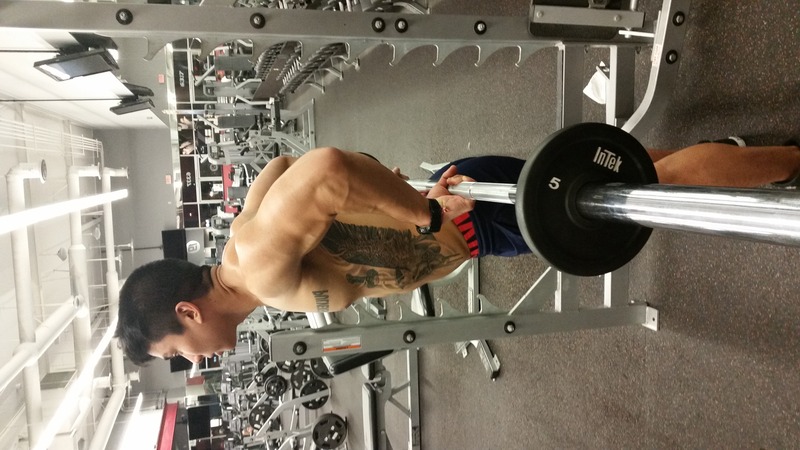 There are actually “3 different types of motions” that work your triceps. And each of those motions recruits different muscle fibers in the triceps, some of which don’t come into play for the other 2 motions. So obviously, you need to do all 3 motions, for full development of your triceps. But compound exercises can include only 1 of those 3 types of motions; which is simply that of “straightening the arm”. That type of motion is included in such compound exercises as the bench press, and the overhead shoulder press. 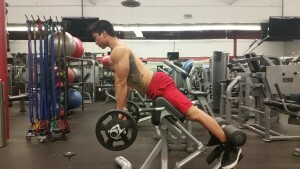 The other 2 “triceps motions” can’t be included in compound exercises at all. They can be done only as isolation exercises. Which means that the muscle fibers that come into play only for those 2 motions can be worked and developed, only by doing isolation exercises. 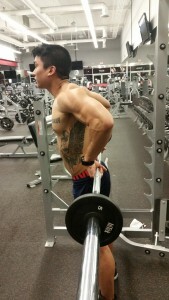 Furthermore, even the 1 type of triceps motion (i.e. that of “straightening the arm”) than can be included in compound exercises can’t be done so as to achieve maximum intensity in the triceps. And that’s because you can’t combine both maximum dynamic contraction (DC) with maximum resistance-induced contraction (RC) simultaneously in the triceps, when doing that motion as part of a compound exercise. And there’s only one workout plan that I know of, that includes all three of those different types of triceps motions, and shows you how to achieve “maximum intensity” (and thus maximum muscle growth) for each one: it’s Maximum Intensity Strength Training (MIST). And the triceps is just one out of several different types of muscles, that require more than 1 type of motion (and thus isolation exercises) for their full development. Others include the biceps, the quadriceps, the pectoral muscles, the hamstrings, the deltoids, the trapezius, the rhomboids, the glutes (buttocks), the latissimus dorsi, the flexor forearm muscles, and the extensor forearm muscles. So, since compound exercises have those 2 major limitations described above, what type of exercises do enable you to cover all of the different types of motions that the human body can do with weights, and enable you to achieve maximum intensity and maximum muscle growth for each one? You got it: isolation exercises! And that brings us to “the 4 strengths of isolation exercises”, explained in the next section. 1) Isolation exercises are the only way you can achieve maximum intensity, and thus maximum muscle growth, in any individual muscle. And that’s because isolation exercises are the only exercises that give you the “freedom of motion” to get to your point of maximum dynamic contraction (DC), and combine it with maximum resistance-induced contraction (RC) simultaneously, when doing any strength-training exercise. And as I explained earlier, since intensity is “the amount of contraction that you generate in the working muscle, per unit of time”, you need to combine maximum DC with maximum RC simultaneously, in order to generate maximum intensity, and thus achieve the maximum muscle-growth stimulation required for maximum muscle growth. And again, this cannot be done with compound exercises, due to the fact that they limit your range of motion significantly. 2) Isolation exercises enable you to put all of your energy and focus into working fewer muscle groups at a time, than you would do with compound exercises. And that helps to achieve maximum intensity in the working muscle. Putting all of your focus, energy and concentration into working fewer muscles at a time (as with isolation exercises) will enable you to achieve a higher level of intensity, than if you spread your energy out over more muscles at a time; which is generally what you’re doing with compound exercises. And although this strategy doesn’t take the place of combining maximum DC with maximum RC, for the purpose of achieving maximum intensity, it certainly helps. So it’s one additional advantage that isolation exercises have over compound exercises, in regards to building muscle. 3) Isolation exercises are the only way you can cover all of the “different types of motions” that the human body can perform with weights. Although most people (even the experts) are unaware of that fact, it’s a huge advantage that isolation exercises have over compound exercises. And that’s because each of those motions recruits “a unique combination of muscle fibers”, some of which don’t come into play for any other type of motion. So all of those motions must be done, for full development of your physique. And as I explained previously, compound exercises can cover only about one-third of those motions. So obviously relying exclusively on compound exercises alone won’t enable you to fully develop your physique. Thus, if you choose to go that route, a lot of the muscle fibers in your body will remain dormant and undeveloped. Furthermore, even out of those relatively few motions that can be included in compound exercises, none of them can be done in a way to achieve “maximum intensity” (and thus maximum muscle growth) in the working muscles; as I explained previously. 4) Isolation exercises enable you to work “opposite muscle groups” equally, so that you can achieve an ideal proportion, balance and symmetry between various muscle groups. 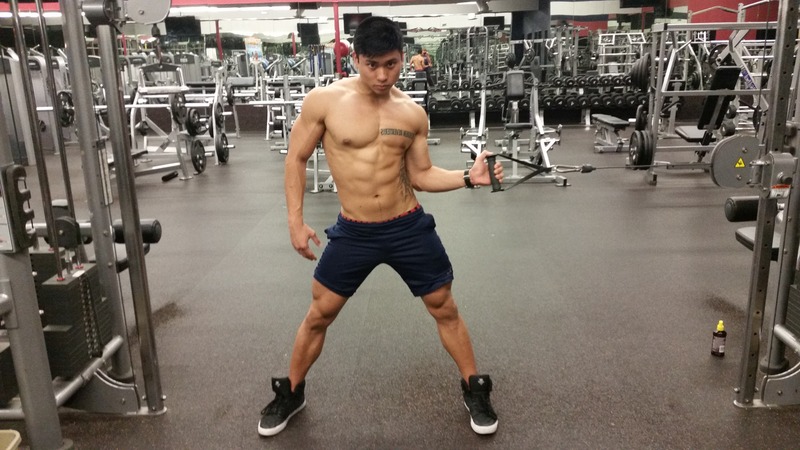 This cannot be done by using compound exercises. This benefit of doing isolation exercises ties in with the preceding one that I listed. The reason why isolation exercises enable you to train opposing muscle groups equally, is simply because they enable you to cover all of the different types of motions that the human body can perform with weights. And that’s something that you can’t do with compound exercises. Plus as I explained previously, isolation exercises, if done correctly, enable you to achieve maximum intensity and maximum muscle growth stimulation, whereas compound exercises do not. For example, suppose you want to develop your thighs (upper legs) proportionately. In order to achieve that goal, you need to work the “opposing muscle groups” of your thighs equally, so that you acquire an ideal balance in muscle mass between those muscle groups. The quadriceps and the hamstrings are opposing muscle groups, not only because they’re located on opposite sides of your upper leg, but also because they have opposite functions. The quads are used to straighten the leg, while the hamstrings are used to bend the leg. And to achieve the ideal proportion between the quadriceps (in the front of your thigh) and your hamstrings (in the back of your thigh), you need to work and develop your quadriceps and hamstrings equally. Now many people, including many “experts”, mistakenly believe that you can accomplish that simply by doing the squat. This ties in with the misleading, erroneous believe that you accomplish ‘more in less time”, by doing compound exercises. But you can’t work your quads and your hamstrings equally by doing the squat. It’s impossible. Because remember, as I stated earlier, the squat primarily works your quadriceps. It does work your hamstrings, glutes and erector spineae muscles (of the lower back) too, but only secondarily. And again, that’s because when doing the squat, you generate a much higher level of intensity (i.e. “amount of contraction per unit of time”) in your quadriceps, than you do in those other muscle groups. In fact, you can easily prove this for yourself: just squat down, and then stand up repeatedly, without any added weight. And while doing so, use your hands to feel the amount of muscular contraction in your quadriceps, hamstrings, glutes and erector spineae muscles. Notice how much more contraction there is in your quads than there is in those other muscle groups. That’s proof right there that when you’re doing the squat, you’re quads are generating a much higher level of intensity, and are “working much harder” than those other muscle groups are. And one major reason why there’s so little contraction (and thus intensity) in your hamstrings, glutes and erector spineae when you’re doing the squat is simply this: for the type of motion that works those muscle groups (i.e. that of moving the upper leg back, relative to the upper torso), the squat limits your range of motion so much, that you can’t generate any significant amount of dynamic contraction (DC) in those muscle groups. And you certainly can’t get to your point of maximum DC, for that type of motion. In order to do that, you would need to move your leg all the way back, behind your upper torso; just as would do when performing the back leg raise, which is an isolation exercise. But that’s obviously impossible to do, when you perform the squat. Furthermore, even if you could generate any significant amount of contraction, intensity or muscle growth stimulation in your hamstrings when doing the squat, there are 2 other types of motions that you need to do, to fully develop your hamstrings. And that’s because those 2 other motions recruit different muscle fibers in your hamstrings from those used to perform the “hamstring motion” used for the squat. So for full development of your hamstrings, those other motions must be done. One of those motions is simply that of “bending the leg”, just as you do when performing the leg curl, an isolation exercise. And that type of motion can’t be included in any compound exercise. So if you neglect that type of motion by limiting yourself to compound exercises, you won’t work or develop the muscle fibers in the hamstrings, that come into play only for that type of motion. And there are many other examples of other muscle groups, that contain muscle fibers that can’t possibly be recruited or developed at all by means of compound exercises. I won’t list them all here. But you can learn about them in the Maximum Intensity Strength Training (MIST) workout plan. So those 4 strengths of isolation exercises explain why such exercises are an absolute requirement, for fully developing your physique fully, and proportionately. And now you know why pro bodybuilders have always done isolation exercises, continue to do isolation exercises, and will always do isolation exercises, in order to get the bodies that they want. Bottom line: isolation exercises, if done correctly, deliver anabolic, muscle-building results, that are simply beyond the reach of compound exercises. Thus far in this article, I’ve focused largely on the limitations of compound exercises, for the purpose of building maximum muscle, and fully developing your physique proportionately. So much so that if you’ve read this far, you might think that my sole purpose for writing this article was simply to bash compound exercises. Studies have shown compound exercises to be much more effective than isolation exercises, for the purpose of stimulating your endocrine system. Which means that compound exercises are superior to isolation exercises, when it comes to getting your body to release more human growth hormone (HGH) and produce more testosterone. The squat has been shown to be particularly effective in this regard. Researchers have also found that “the more weight that you use” when doing compound exercises, the more effective the exercise is at stimulating your endocrine system to release more HGH, and produce more testosterone. So the higher the intensity of the exercise, the greater the hormone-boosting effects are. And since HGH and testosterone are 2 important “pro-youth”, “anti-aging”, anabolic hormones that everyone benefits from, that alone makes compound exercises a valuable part of your arsenal of strength-training exercises. And that’s probably the only advantage that compound exercises have over isolation exercises. Yet it is a significant one, for anyone who want’s to optimize their levels of human growth hormone (HGH) and testosterone. Now, many people believe that the primary advantage of doing compound exercises is that they enable you to work more muscle groups at a time, than do isolation exercises. So that way, you can “build more muscle in less time” by doing compound exercises, than you can by doing isolation exercises. It’s true that compound exercises generally enable you to hit more muscle groups at a time than do isolation exercises. But as I’ve explained, compound exercises also prevent you from achieving “maximum intensity” in the working muscle. So for that reason, they actually sabotage your efforts to achieve maximum muscle growth stimulation and build maximum muscle, in any given muscle. That’s usually what happens when you combine 2 or more different types of motions into one exercise, as in the case of compound exercises. So although you may think that you’re “accomplishing more in less time” when doing compound exercises, you’re actually “accomplishing less in less time” by doing such exercises, compared with isolation exercises. At least in regards to building muscle, and fully developing your physique proportionately. Yet, look at how many times we’ve heard the erroneous, misleading advice that if you want to build maximum muscle and fully develop your physique proportionately, make sure your workout plan is centered around compound exercises! In fact, if you apply those 2 strategies, you’ll build maximum muscle in minimum time, simply by doing exercises that last only 1-6 seconds each! And there’s only one workout plan that enables you to accomplish that: it’s Maximum Intensity Strength Training (MIST). Now if you’ve read this far, you should have a damn good understanding of what compound exercises are, what isolation exercises are, and how they differ from each other. You should also be aware of most of the strengths and limitations of compound exercises and isolation exercises. And I hope that the knowledge I’ve provided about compound exercises and isolation exercises will enable you to make the right decisions, so that you can get the body that you want; as quickly, as effectively, as time-efficiently and as safely as possible!